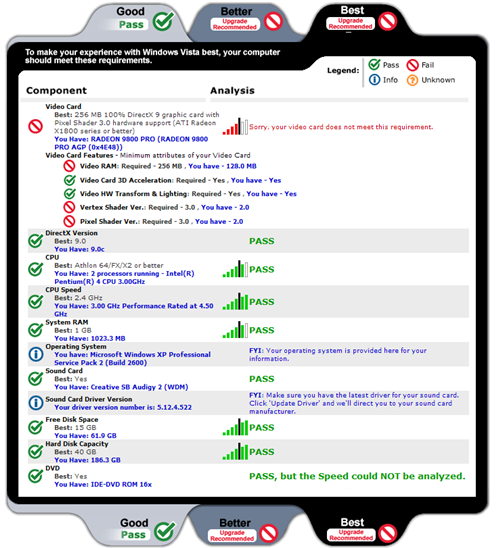 Several of the major hardware companies are offering tests to verify your system readiness. 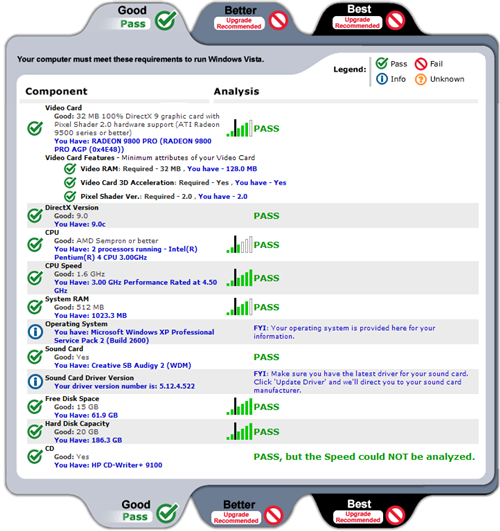 Just to see the results, I ran the ATI Vista Readiness Advisor on an HP system I got back in 2004, to see how it benchmarked as an upgrade candidate. According to the test, everything onboard passes the Good, Better and Best ratings with the exception of the video card. In reading the results, the Radeon 9800 Pro in this system should pass both the Good and Better ratings, at least according to the test specs. 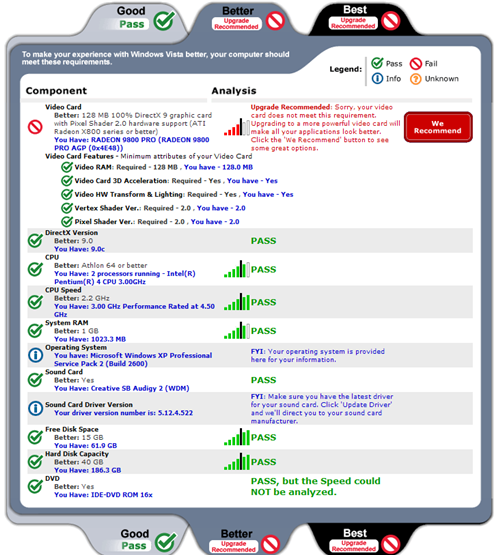 In fairness, I'm inclined to agree that the recommended upgrade to a 512MB Radeon X1600 will give your computer a little more life in the Vista universe. While I certainly wouldn't swear by this test, it's a solid reality check to see whether the upgrade cost of keeping a current system is higher than simply ordering a system shipping with Vista from one of the major PC vendors.